Valentine’s Day is not for everyone. If you are celebrating Anti-Valentine’s Day, or doing your best to ignore it, revel in the fact that you are not caving in to the excesses and demands of one of the biggest holidays of the year. And if people tell you you should be doing something for Valentine’s Day, remind them there are 364 more days in the year for you to show the people in your life how much you love them. Until then, let’s have a laugh to help us get through the day. 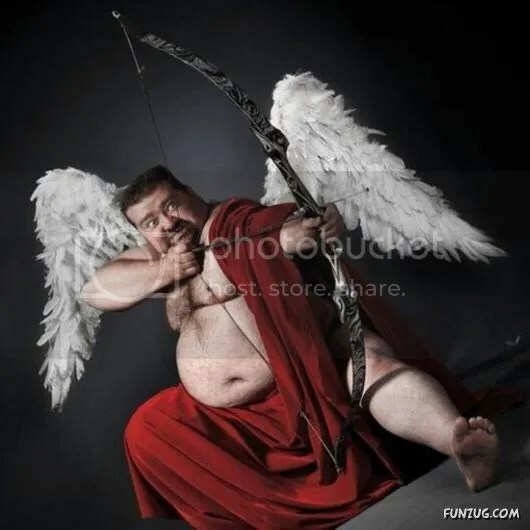 Do you get the feeling that Cupid hasn’t been putting much of an effort into things for you? Perhaps, years ago, some little hussy stole the boy of your dreams from right under your nose. All I’m saying is that, for various reasons, Valentine’s Day may not be at the top of the list of your favourite, over-commercialized holidays. 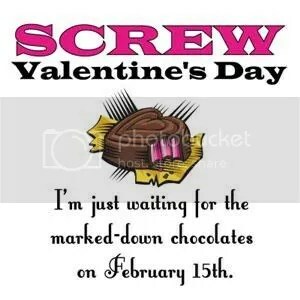 But, fear not, for the real Valentine’s holiday will soon be here. So, for the people who don’t like the hype, the expectations, the stresses and the expenses that is now a very commerce-driven holiday, these pictures are for you. Are you looking for a loving, warm and fuzzy post on Valentine’s Day? 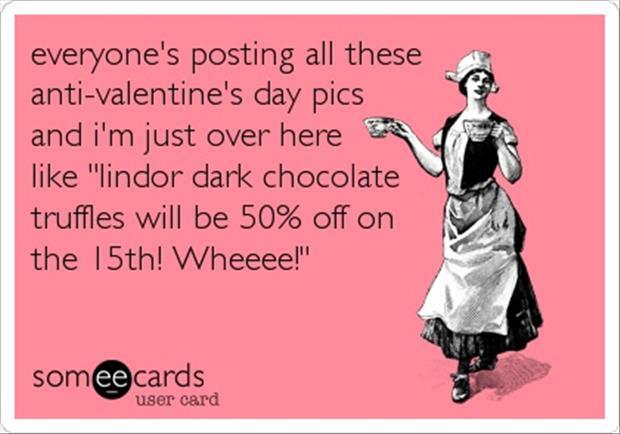 This post on wonderful treats to make for Valentine’s Day or this post on love quotes may be more what you’re looking for if you want the warm and fuzzies. If you want to sound like you know what you’re talking about, here’s the history of Valentine’s Day according to History.com. 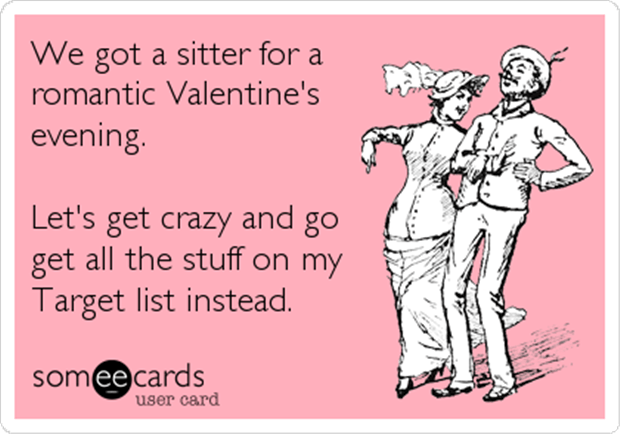 No, today’s post is a little bit of humour for those of us who won’t be celebrating Valentine’s Day, at least in the traditional way .